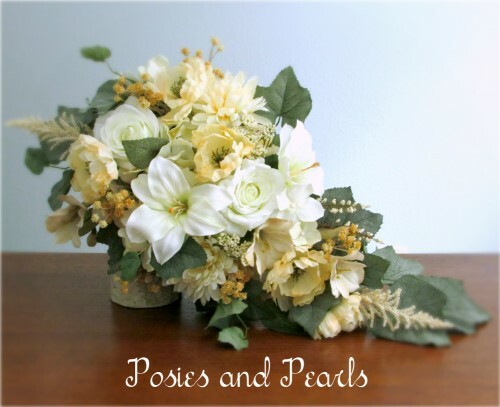 This elegant bouquet is overflowing with blooms in soft tones of ivory, beige, golden cream, and tan. The mixture of silk blooms includes Asiatic lilies, roses, poppies, chrysanthemums, alstroemeria, gypsophila, and hydrangea with subtle accents of Queen Anne's lace and heather. 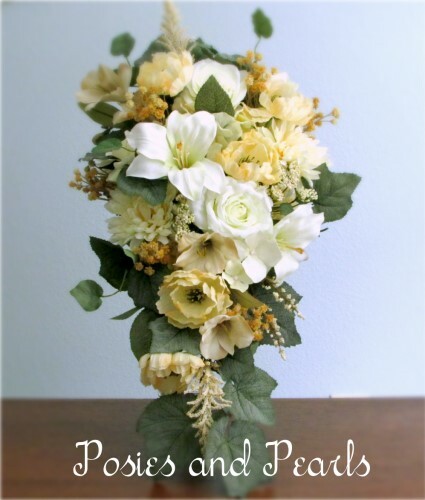 The flowers are arranged into a trailing cascade shape with soft green ivy blended throughout to define and frame the neutral colored flowers. 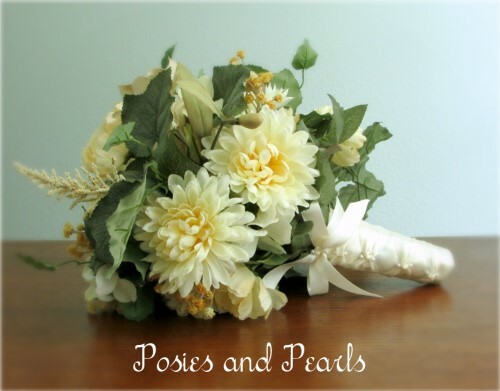 The stems are fully wrapped with smooth ivory satin in a French knotted pattern for a classic finishing touch. 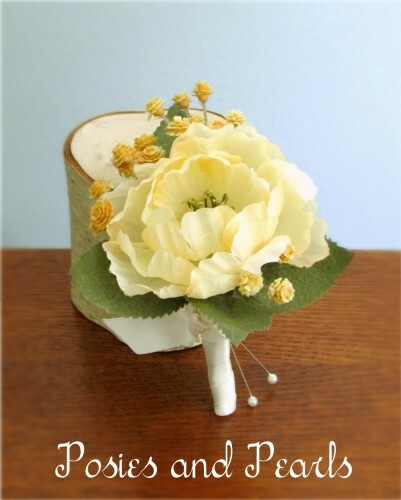 The coordinating boutonniere features a single poppy bloom accented with tan gypsophila and greenery. 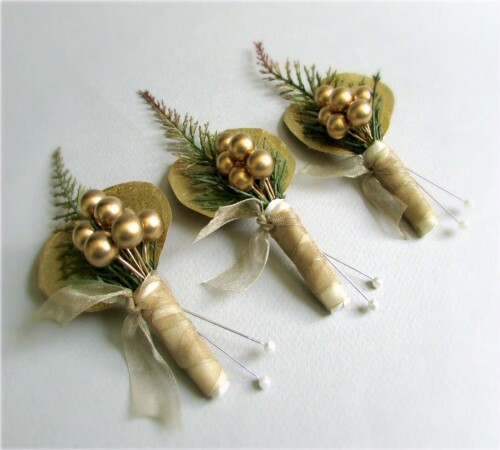 The stems are wrapped with ivory satin. 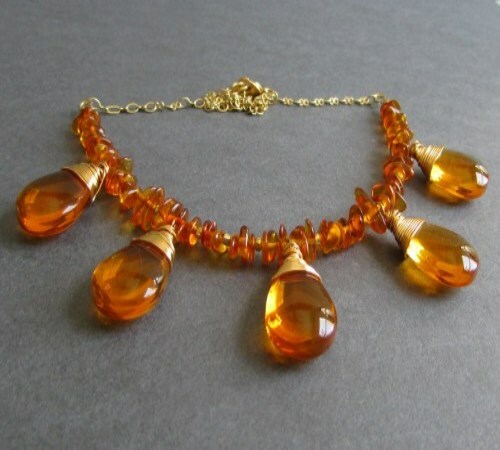 CUSTOM ORDERS: This style of bouquet can be made in any color and with many types of flowers. 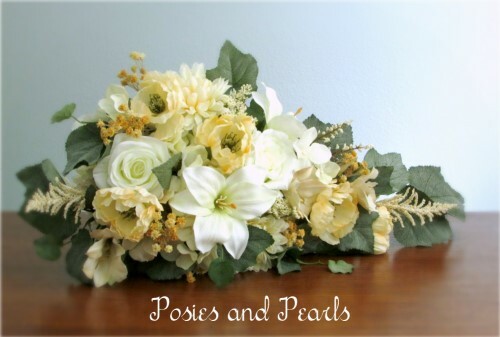 I can also create coordinating pieces for each of your attendants including bridesmaid bouquets, centerpieces corsages, boutonnieres, centerpieces, jewelry, ring pillows, and flower girl baskets. Contact me and I will be glad to assist you.